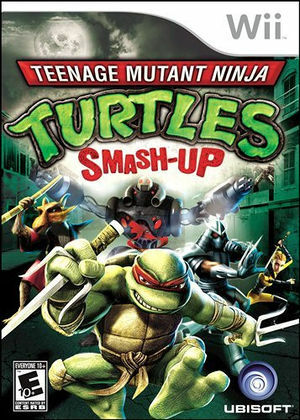 Teenage Mutant Ninja Turtles: Smash-Up is a four-player fighting game featuring the Teenage Mutant Ninja Turtles, as well as their enemies and friends, in melee battles similar to the Super Smash Bros. franchise. Choose from a wide variety of classic TMNT heroes and villains, each with unique acrobatic moves, weapons and combat skills that will come in handy during the free-for-all brawls. Not only can you immerse yourself in the world of TMNT through the story mode, you can also challenge your friends at home or online in a variety of multiplayer modes including tournament, battle royal, and more! Teenage Mutant Ninja Turtles: Smash-Up is capable of using both GameCube controllers and Wii Remotes. If a physical controller is set to emulate both a GameCube Controller and a Wii Remote concurrently, it will operate both devices at the same time. To fix, migrate controls to use separate physical controllers. The graph below charts the compatibility with Teenage Mutant Ninja Turtles: Smash-Up since Dolphin's 2.0 release, listing revisions only where a compatibility change occurred.